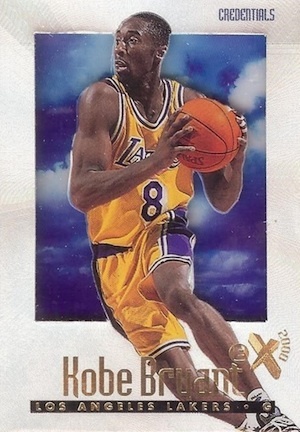 With his Hall of Fame career over, Kobe Bryant rookie cards have taken on added significance as more collectors begin to revisit his earliest cardboard. 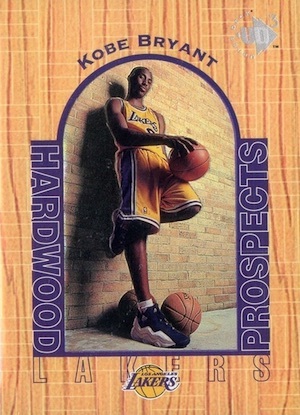 The following guide offers a look at the official Kobe Bryant rookie card lineup. It is easy to wonder what might have been when discussing Kobe Bryant and his original drafting by the Charlotte Hornets. However, we will never know since he was soon traded to the Los Angeles Lakers, and the rest is history. 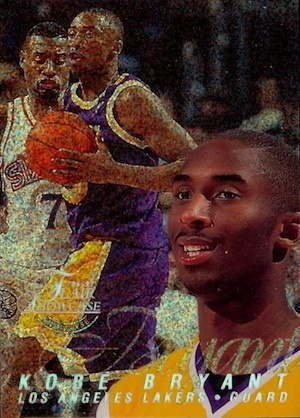 Collectors can find Kobe Bryant rookie cards in several 1996-97 NBA products. However, other brands, including Collector's Edge, Pacific, Press Pass and Score Board, contain additional Kobe Bryant options that feature high school images. 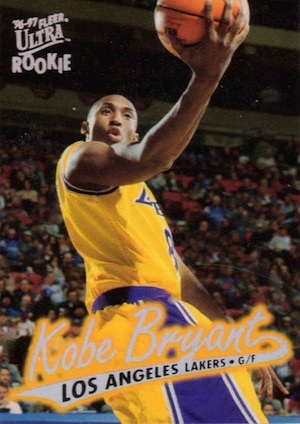 Shop for Kobe Bryant Rookie Cards on eBay. Each of the 16 primary rookie cards for Kobe Bryant can be seen below. They are all traditional base offerings as autographed or serial numbered cards had not become common with rookie cards yet. When available, parallels are referenced for the rookies. While these cards are hardly vintage, given the age of the products and the popularity of Bryant, high grades for nearly any Kobe Bryant rookie card on the list can yield a significant premium. 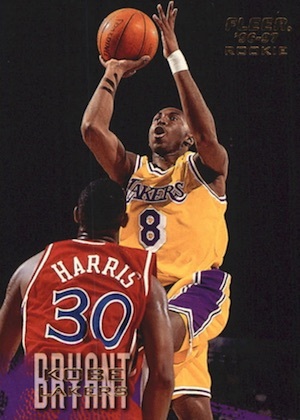 For more collecting information, check out our Kobe Bryant player profile. 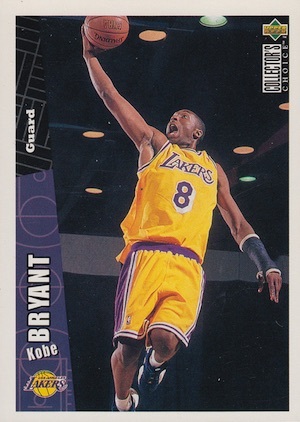 We also count down some of the best Kobe Bryant cards and highlight the most popular Kobe Bryant cards on eBay. Click on the images listings to shop for cards on eBay. Linked sets in the text go straight to detailed profiles or guides. 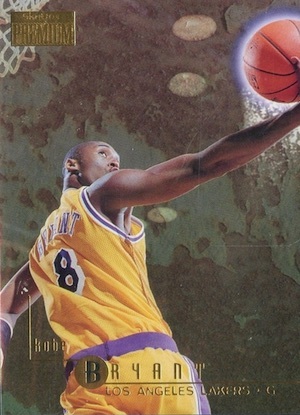 Definitely one of the more modern-looking Kobe Bryant rookie cards, 1996-97 Bowman's Best features a quality design and Atomic Refractor parallels that command big prices. The base rookie Refractor parallel for Kobe Bryant is shown below. Showcasing one of the most unique designs in the history of the hobby, 1996-97 E-X2000 is as condition sensitive as it is attractive. 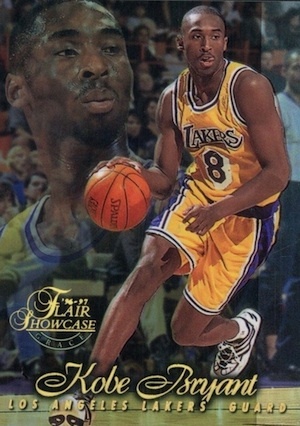 Outside of the Chrome rookie, this is the favorite for top Kobe Bryant rookie card. Although a print run of 499 is not likely to cause much excitement today, the Credentials parallel features a pearl border and values can reach into the four-figure range for top grades. 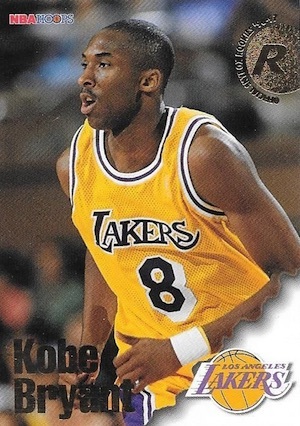 A basketball staple for many years, Finest Basketball is no longer around but collectors still gravitate to the earlier options like this Finest Kobe Bryant rookie card. 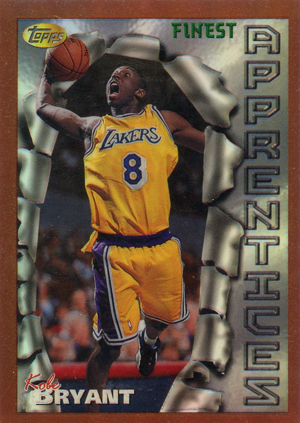 Showcasing the typical loud design that is expected from the brand, the bronze Apprentices subset card in 1996-97 Finest is the most common, but there is also a gold Heir version, as well as Refractor parallels. 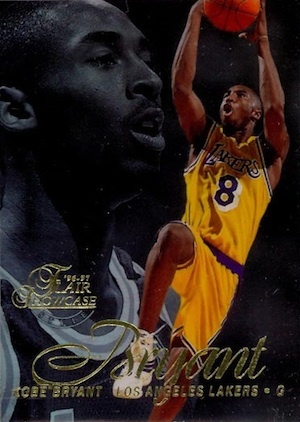 Arguably the most refined Kobe Bryant rookie card for collectors, 1996-97 Flair Showcase is similar to Finest in that it also has tiered rookie cards with increasing rarity. Flair Showcase breaks things down with Rows, and the Row 2 version is the most common and shown first. Row 1 and Row 0 add to the mix, while Legacy Collection parallels are available for each level. These rare parallels are each numbered to 150 copies. 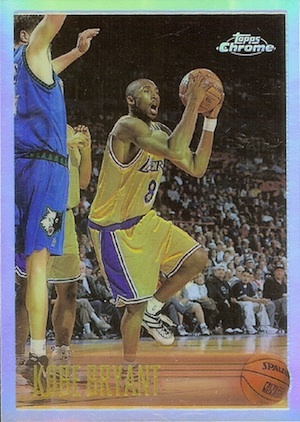 One of the cheapest rookie options for Kobe Bryant, Fleer presents a simple base card that can still be found for a few dollars today. While it is not the most impressive example, the price is hard to beat for an official Bryant rookie. Since Metal would not debut the popular Precious Metal Gems until the following year, 1996-97 Metal is not as big as it could have been. Regardless, the metal-themed product still offers an appealing first-year option. Kobe Bryant's main rookie is part of the "Fresh Foundation" subset and includes a draft day image following the trade from Charlotte. There is also an action base card for Bryant in Series 2. A subtle Precious Metal parallel is available for both cards. Sensitive to chipping on the edges, 1996-97 Ultra brings a fun text and common rookie image of Kobe, lifting the ball toward the basket. Gold Medallion and Platinum Medallion parallels continue to see strong interest. Another low-end option, Hoops is not going to bring big values, but it is a great choice for those who just want a simple Kobe Bryant rookie card. Like the name indicates, 1996-97 Skybox Premium is a product with a little more quality. In addition, the limited Rubies parallel replaces the base gold foil with red and has proven to be quite valuable. 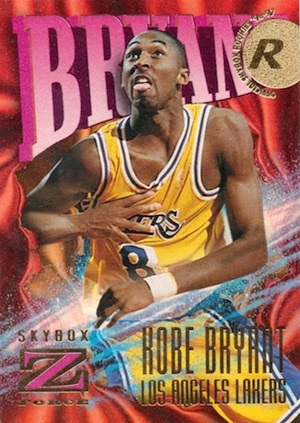 A loud and colorful budget card with the same gold foil logo as Hoops, 1996-97 Z-Force holds the distinction of having one of the most awkward rookie images of Kobe Bryant. The real draw for many collectors involves the wild inserts in the set. 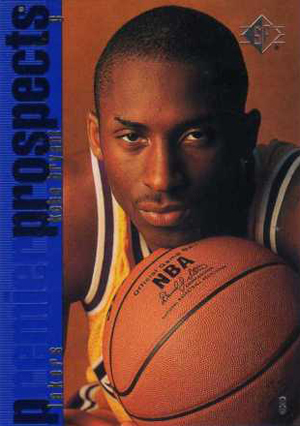 With an intense stare, this Kobe Bryant rookie card from 1996-97 SP might be one of the more captivating images of Bryant but the blue stripe on the side is a bit distracting. It is also good to note that these cards are prone to chipping. 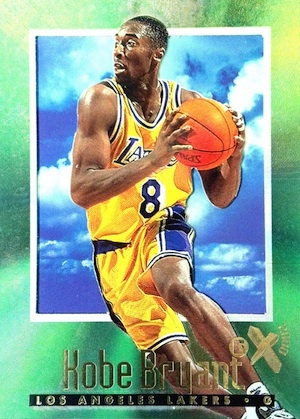 The base 1996-97 Topps Basketball rookie card for Kobe Bryant offers what it does in most years and there is really not much value for this low-end card. The "NBA at 50" parallel goes with a Chrome-like foil finish and can be confused with the much more popular (and valuable) Chrome rookie card if you are not paying attention. 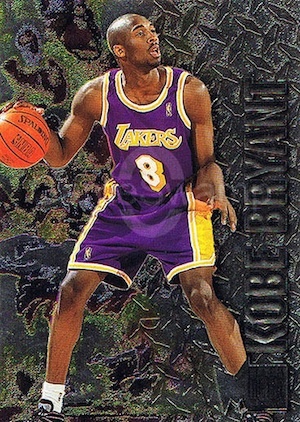 The undisputed king amongst Kobe Bryant rookie cards, 1996-97 Topps Chrome was a retail-only release that ushered in a strong run for NBA rookie collectors. Like most Chrome sets, the cards are prone to smudges. While the base rookies themselves are very valuable, Refractor parallel prices are even stronger. Long a low-end favorite from Upper Deck, Collector's Choice is really more about the collecting value versus the monetary value. 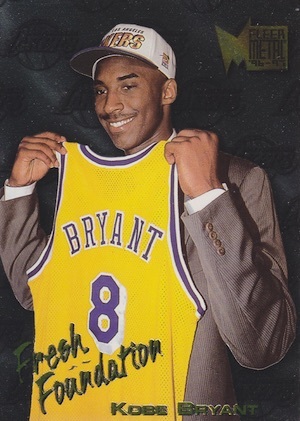 This is one of the cheapest ways to add a Kobe Bryant rookie to your collection. Part of the "Hardwood Prospects" subset, the KB card in UD3 goes with a faux court design. 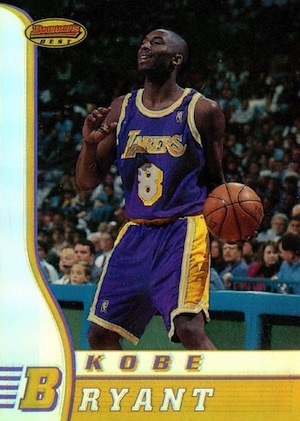 Despite the more high-end look, this Kobe Bryant rookie card can still be found for reasonable amounts. 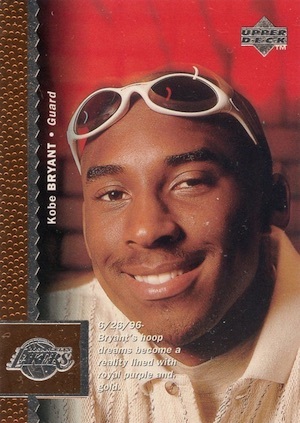 Easily the most playful image of Bryant, the main release in 1996-97 Upper Deck NBA features a profile shot, complete with white sunglasses. The foil lining on the left side gives the card a bit more of a premium feel, but the large amount of text shown near the logo does not work as well. 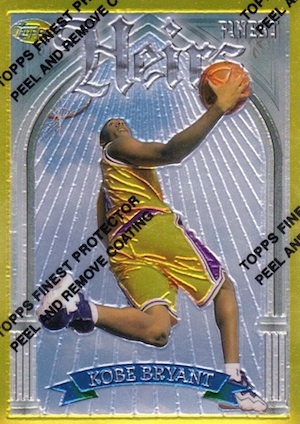 1996 Score All Sport PPF KOBE BRYANT PPF Gold Rookie Card. Lower Merion H.S. Hey Trey… I was trying to find a person to give me a value on 4 Kobe High School cards (3 are signed)…and don’t really know where to look. Any suggestions. 1996-97 EX-2000 Kobe Bryant Rookie – Black 23K Gold WCG 10 GEM-MT. 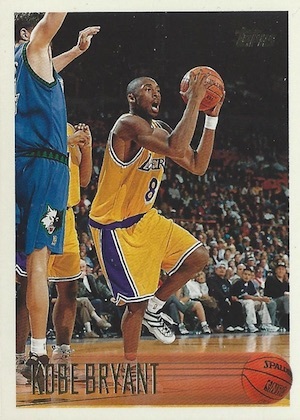 Also a SB-Score Board card of Kobe Bryant with the Lower Merrion jersey. Corey � Thanks, Corey! Should be fine now. Steve Kiper Jr � Hi Steve, email me at trey@cardboardconnection.com with scans of the front/back and I can check it out. 1996 Topps Kobe Bryant GEM MT PSA 10 NBA HOF WOW! !